If you don't have a copy of the book, you can always watch the video with your class as an alternative! This is a fantastic resource for teaching discrimination, segregation, prejudice and equality. Although this was a lesson originally created for Black History Month, I've found that it can be used throughout the year to touch on these important topics. Read the reviews below and take a look at the preview on TpT for understanding of what included in this product. 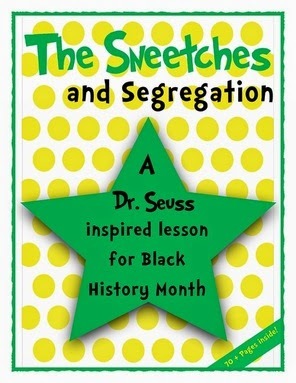 "The Sneetches & Segregation: A Dr. Seuss Inspired Lesson for Black History Month"